As America's Tallest 3D Printed Structure, this 18 foot tall structure is the result of a collaboration between Branch Technology and KBAS -a research group run by Keith Kasemen . 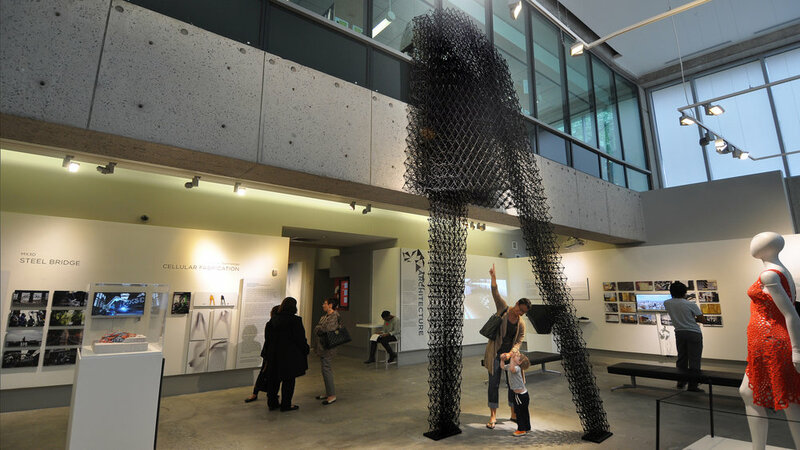 The Museum of Design Atlanta (MODA) challenged the two parties to demonstrate the reality of 3D printing for architectural applications as a feature in their 3D Printing the Future exhibit. In a little over a month, the combined effort filled the space with a structure that is truly ground-breaking. With a volume of around 54 cubic feet, the structure was printed in a number of parts and then assembled on site. The work represents a pilot project for Branch's freeform 3D printing process, C-FAB. The design challenged and expanded upon Branch's printing capabilities while highlighting how technology can enable new possibilities for designers. The structure has since been inducted into the museum’s permanent collection.